As any yogi worth their salt will tell you, the ajna chakra is one of great significance. Otherwise termed the third eye, this chakra, situated between our eyebrows, can be described as connecting us to our intuition, allowing us to access our inner guidance and drawing from the sub-conscience. Without realising it, most of us are exercising our third eye regularly and often refer to it in language such as ‘a gut feeling’ or ‘trusting my judgement’ or ‘I instinctively knew.’ It is very comforting to know that we have this resource, and to that to tap into it is simply a case of settling and listening. I’m not sure that my aunt, now passed, ever took a yoga class in her time, but a piece of advice she once gave me that has always served me well certainly falls in line with this way of thinking. She said, when you come to a crossroad in life and you are faced with a difficult decision that you feel unable to make, don’t make one. In time, she said, the choice or action to take will become clear. When I have remembered to follow her words, options and choices have definitely crystallised with time and I think this is because my sub-conscious instinctive mind has been given a chance to function. 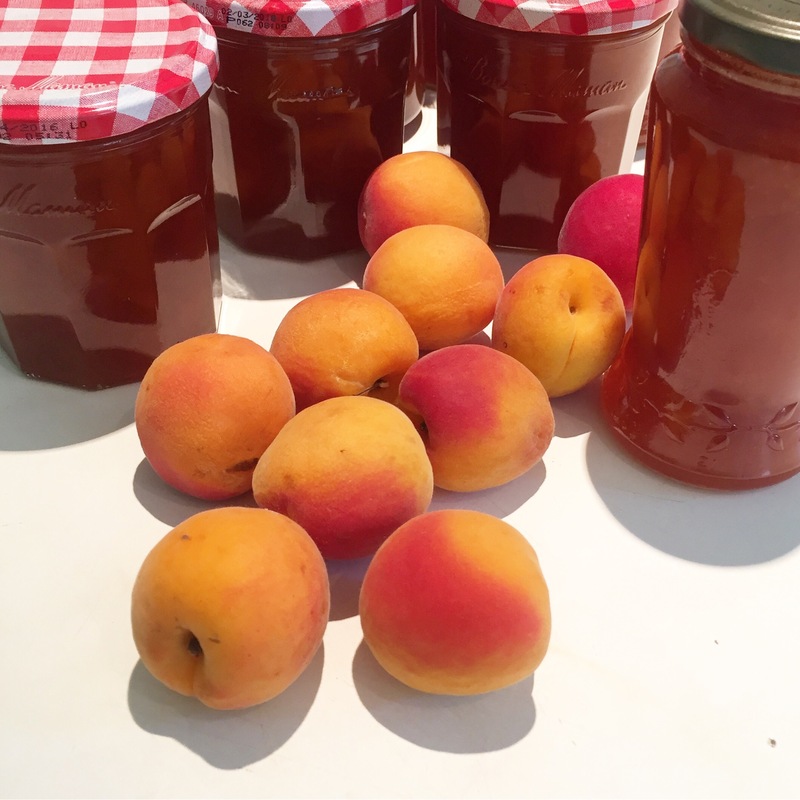 This week I was given a lovely windfall of apricots and as soon as I tasted one I knew that a large pan of bubbling jam would be on the next day’s agenda. Produce straight from the source exudes the most pungent aroma and delicious flavour that no commercially grown item can match and to be able to preserve this in either a jam or bottle is really worthwhile – particularly for the middle months of the year when stone fruits like these are a mere memory. Take a deep inhale and a long exhale and know that you can make jam. Put a china saucer or plate in the freezer. Weigh your apricots after you have halved them, removed their stones and chopped them. Put them into your largest pot and add the same weight in sugar, 3/4 cup of water and the juice of two lemons. My batch was 11/2 kg apricots and 11/2 kg sugar. Over a low heat, stir your potion until all of the sugar has dissolved. Now increase the heat and bring your jam to a rolling boil. Stir from time to time, so that the apricots don’t stick to the base and burn. Now for your ajna. Look at your pot and if it has been boiling for a while (15 minutes) and is darker in colour, it might be time to test to see if the jam has set. Get your saucer from the freezer and drop a teaspoon of hot jam onto it, waiting until it cools a little. If your little puddle of jam wrinkles a little when you push it with your finger, you’re done. It’s time to take the pot off the burner, let it settle for a minute and then pour your jam into hot steralised jars (100 degrees in the oven). If it has not wrinkled, it will need to boil for a little longer. These instructions may sound imprecise, but that is the nature of jam making. 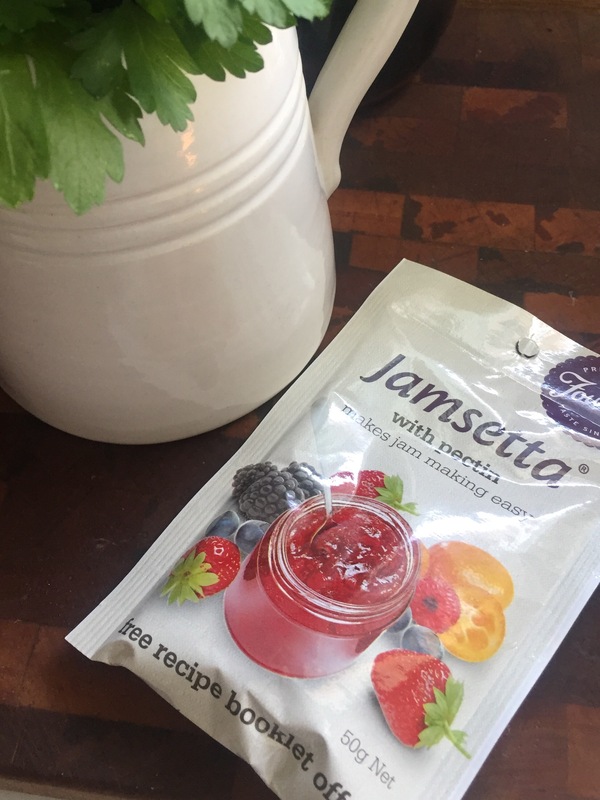 You will know when your jam has set because you will look at it, taste it, think about and trust your judgement. Step away from fear, panic and doubt, afterall this is simply a pot of fruit mixed with sugar and you are a fabulous person. PS if you are not yet comfortable with your ajna and the puddle refuses to wrinkle, a packet of this stirred into the mix will restore your jam and your confidence. Tell me who’s going to pass by firm ripe apricots at the market for $1.99 per kilo? Not me, and therefore the kitchen has a distinct aroma of stone fruit about it this week. Spread (thickly) on toast or dolloped over some creamy yoghurt and muesli, apricot jam happens to be one of life’s little pleasures. With the current prices and the jam sugar I mentioned here, there is no reason why you cannot have a pantry shelf full of it either. As I was stirring the pot, I noticed one of the ‘feature’ tiles in the splashback and it made me smile. I must have cleaned and moved past this tile at least a million times, and today the realisation that an apricot keeps watch over the cooktop, came to be. How often are we looking but never really see?